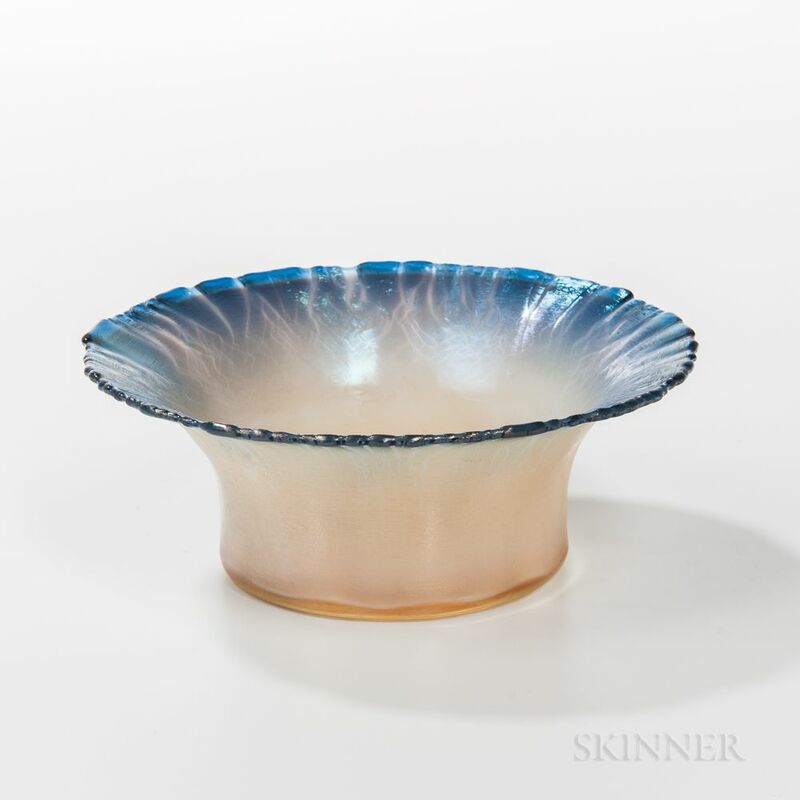 Small Tiffany Favrile Blue Opalescent Bowl, New York, early 20th century, marked on base "L.C. Tiffany-Inc. Favrile," ht. 2 1/4, dia. 5 7/8 in.